Unrest in Yemen threatens to create a power vacuum that can be exploited by al-Qaida's franchise there and there's little the United States can do to help, three experts testified before a House subcommittee Wednesday. Al-Qaida in the Arabian Peninsula (AQAP) already constitutes the most dangerous terrorist threat to attack the U.S. homeland, Secretary of Homeland Security Janet Napolitano testified last month. The panel of security experts before the House Homeland Security Subcommittee on Counterterrorism Wednesday agreed with her assessment. As President Ali Abdullah Saleh fends off growing protests against his regime, military resources will be diverted away from efforts to combat al-Qaida operations there. That gives the terrorist group space to coalesce with other tribal groups and enhance their base of operations. "With the regime increasingly focused on its survival, it is likely to shift resources away from targeting AQAP, freeing the organization to plot attacks," said Barak Barfi of the New America Foundation. "In short, 2011 holds great promise for a group that has historically thrived on political instability." The terrorist group already has benefited greatly from the deteriorating security situation in Yemen. President Ali Abdullah Saleh's security forces are currently at war on three fronts: 1) a civil war against Houthi tribesmen in the north; 2) the fight against a secessionist movement in the south; and 3) the war against al-Qaida, which Yemen regards as a relatively minor threat to its stability. The government's inability to control its territory "provides the space al Qaida craves, using poverty and legitimate grievances against a repressive domestic regime to win support," said Christopher Boucek of the Carnegie Endowment for International Peace. As a result, AQAP has eclipsed the core al-Qaida organization "as the primary terrorist threat to U.S. national security," said Boucek. "AQAP has emerged as the organization most likely to kill American nationals and to attack U.S. interests." Boucek, Barfi and fellow panelist Jarret Brachman of Cronus Global painted a troubling picture of the situation in Yemen. AQAP is an increasingly dangerous, capable group of terrorists, they agreed, while a weak, corruption-plagued Yemeni government struggles to keep up. The attempted bombing of Northwest Airlines Flight 235 on Christmas Day 2009 demonstrated al-Qaida's determination to stage an attack on American soil. 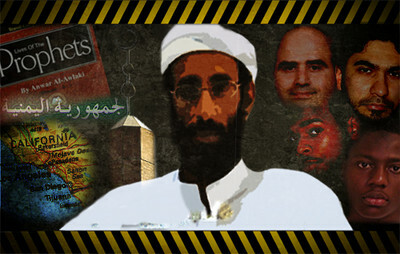 The October 2010 plot to conceal explosives in cargo packages mailed from Yemen was another example. In both cases, the worst-case scenario was narrowly avoided, "but not by successful proactive counterterrorism efforts," Boucek said. "We cannot count on our luck continuing." From its base in Yemen, AQAP has developed a successful strategy for using the Internet to mobilize online followers in the United States. "AQAP now provides its online community with a compelling, comic-book experience, one that equips individuals with the tools they need while de-mystifying the path they must take to become their own al-Qaida superhero," Brachman said. He likened the jihadist recruitment effort to fantasy football, allowing armchair fans in the United States and other Western countries to "put on a jersey" and feel committed to the team. "They've turned al-Qaida into an online game, into a fantasy football event," he said. "Just as kids in the United States trade comic books and baseball cards, Tweets and Facebook comments, American supporters of al-Qaida now can trade AQAP media products and insights. They can play along online or try to replicate AQAP's adventures at home," Brachman said. "AQAP has been able to put those American supporters on a noble quest to vanquish injustice and save the world from the invading evil." In addition, Anwar al-Awlaki, the American-born jihadist cleric, "has managed to become the most likable terrorist among Western al-Qaida supporters," Brachman said. In tandem with AQAP's Inspire magazine, Awlaki has managed to lower practical and psychological barriers for potential jihadists. In the past, al-Qaida had been frustrated by the fact that its online supporters were content to be part-time terrorist sympathizers who were unwilling to act on their beliefs. AQAP "is firmly entrenched in Yemen," Barfi told the subcommittee. U.S. airstrikes in 2009 and 2010 failed to neutralize the organization, and last year it stepped up attacks on Yemeni military units. Although U.S. military training has gone a long way to strengthen Yemen's armed forces, the government remains "ill-equipped to subdue AQAP," he said. "It is unable to operate efficiently in the tribal areas the organization calls home. Units dispatched to arrest AQAP cells are often captured." In addition, the Saleh regime does not regard the AQAP as the major security threat Washington does. Saleh (the strongman who has run the country for more than three decades) has sought to co-opt jihadists in the past, using them to quell domestic rebellions. Moreover, Saleh has told American diplomats that he is more concerned with fighting secessionist forces in Yemen than in fighting the AQAP. The group remains obsessed with launching large-scale attacks against the United States, but smaller, "lone wolf attacks" have a greater chance of success. From a security standpoint, the problem is that attacks capable of doing economic and psychological damage to the United States do not take much expertise, Barfi said. The terrorists are constantly changing the nature of attacks, which he described as "vexation and exhaustion exercises." People don't have to die in order for an attack to be effective in hitting the United States. After the "underwear bomber" and the cargo package attacks, the United States made changes in airline security and cargo screening, both of which increased terrorism's costs to the country. Effective American options are limited. If the United States takes military action against jihadists in Yemen, it undermines Saleh and aids his domestic opponents who seek to cast him as an American tool. American economic and technical aid could be increased, but corruption is a major impediment. The witnesses suggested short-run solutions to the problem could include persuading Saudi Arabia to play a more constructive approach towards Yemen. "Unlike Washington's aid, which seeks to strengthen Yemen, Riyadh's money is funneled to the tribes to weaken the central regime and keep it in line" with Saudi goals, Barfi said. For now, Washington's best bet appears to be bolstering the Saleh government in an effort to persuade it to take a more forceful stance against the AQAP. "Very clearly, Yemen's problems are not staying in Yemen and AQAP poses a grave and growing threat to American domestic security," Boucek said. An essential element of Al Qaeda strategy is to operate out of "Open Fronts" such as Yemen, Waziristan, and increasingly, Northern Mexico. Open Fronts provide Jihadist groups with sancturary to train, plan, indoctrinate. To draw from this strategy that "violence is caused by the poverty" is to ignore the ideological aspects of Islamic Jihad.